Believe it or not, not everything that’s delicious needs to be a huge production. Sometimes the most delicious thing you’ll eat all week can be thrown together in just a few minutes and take only three ingredients. It’s almost impossible for me to imagine a dish so packed with flavor that can be made in the same amount of time as this quick fig dish. It’s so quick you can literally make it during a commercial break. I know. Because I did. A quick dish that can be served as an appetizer or a dessert. It only has a few ingredients and takes minutes to prepare. 1) Slice figs in half and broil them for 1-2 minutes on high, cut-side up, until they are warm and slightly browned around the edges. 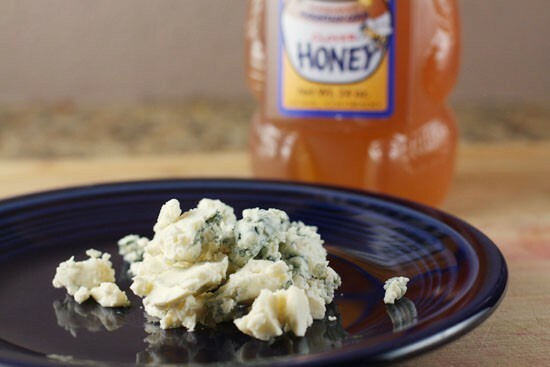 2) Sprinkle on blue cheese and drizzle with honey. 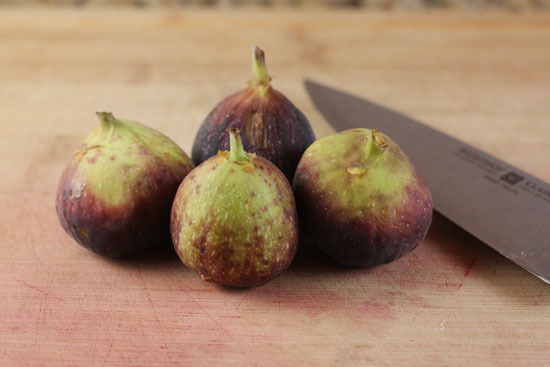 If you aren’t familiar with figs, they are a very strange fruit. When you cut into them it looks like some sort of alien fruit. If you take a leap of faith and bite into one though, you’ll be rewarded with a subtly sweet flesh that’s like nothing else. They happen to be in season near the end of Fall so this time of year you can usually find some really good ones in the store. You could use any kind of fig for this dish, but I used brown Turkish figs. Figs are best when they are almost over-ripe. They should be kind of mushy. If they are firm then they aren’t quite ripe yet. You can also tell pretty easily when you cut into them. Of course, by then, they are cut open so you might as well just eat them even if they’re a bit under-ripe. Usually the darker the color, the riper and sweeter they will be. If you were just going to pop a fig in your mouth, you’d want it to be ripe. If they aren’t ripe, they can be a bit bitter. But for this recipe, it’s okay if they aren’t perfectly ripe because we’re going to broil them for a minute which will soften them up and also caramelize them a bit. Just slice the figs in half, lay them out on a baking sheet, cut-side up, and place them under the broiler for about 2 minutes. You want them to be warm and slightly browned around the edges. The toppings don’t get much easier than this. Just some blue cheese and honey is all you need. And no. You can’t substitute the blue cheese. The tanginess is essential to the dish. There’s only 3 ingredients so no substitutions people! 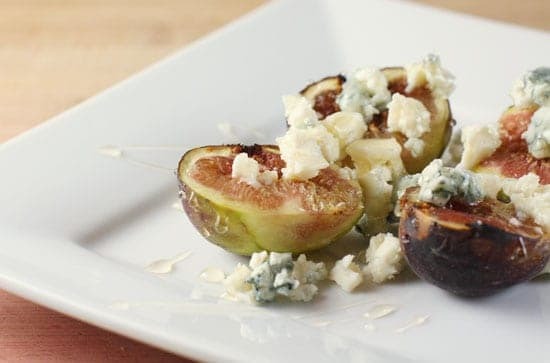 Once your figs come out from the broiler, sprinkle on as much blue cheese as you want (I like a lot) and drizzle on some honey. Serve it up and wow your friends! The nice thing about broiling the figs is the skin because a bit crunchy. So you get this kind of crunchy texture, with the soft fig flesh and the blue cheese and the honey. It’s really out of this world. The only other thing I’ll mention about this dish is that it can actually be served as either an appetizer or a savory dessert. It works perfectly both ways. Some things are better when they aren’t overcomplicated. This is one of those things. 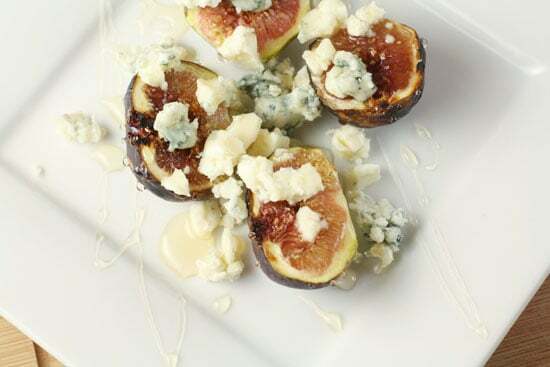 If you can get your hands on some nice figs, definitely give this dish a shot! I agree with all of your fig ravings. The best bruschetta I've ever had was figs, bleu cheese, and proscuitto. 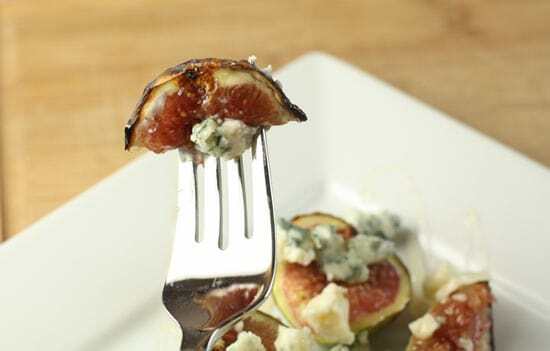 I love figs with blue cheese! I pop mine back under the broiler for a few seconds to get the cheese nice and melty. Broiling with the blue cheese on it… not a shabby idea! yes love that flavor combo going on there. one can never have enough of the fig & cheese combo. I know that you say "you can’t substitute the blue cheese", but try it with goat cheese please! Goat cheese plays up that sweet deliciousness that is figs and honey. Put the cheese in on the last minutes under the broiler and the tops get nice and browned. So so so good! I made a quick stop in at Whole Foods this A.M. on my way back from the dreaded post office. Ick. AI was able to pick up a bag of figs. Came home and I did a few chores and I stopped to make me a little pick me up (didn't have breakfast before I left so the tummy was a growlin;). Oh my! I made it just exactly per your instructions. Oh I'm in LOVE! I love fruit with cheese in other recipes mostly salad combo's but now this is one I will remember and make again. I've never purchased figs before. Next time I pass them in the store, I will definitely back up and remember to pick me up a little bag of them. Thanks! 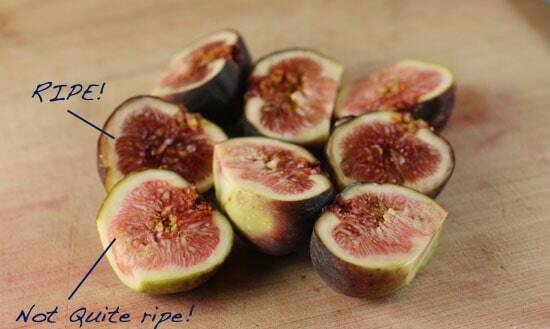 I LOVE figs! They are also delicious if you cut an X down the center but not all the way through, stuffed with cheese and wrapped with prosciutto; bake util the prosciutto crisps and voila! Heaven! I was lucky enough once to each a fresh fig right off a tree in the Mediterranean. It changed my life. Thanks for sharing this one! Looks great Nick! Figs do intimidate me a little, but I'm definitely going to try this. Is it possible to have an overripe fig? I've seen them in the store and they're usually pretty soft and have a bit of sticky liquid oozing out the top… is that bad or is that what you're looking for? I couldn't find ripe figs, so I bought dried… Can I still broil them? Maybe top them first?